Monero or XMR, the cryptocurrency that focuses on privacy, has gained a lot of popularity since its launch in 2014. 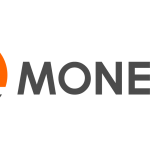 Check out our previous article on “what is monero” for more background on this topic. 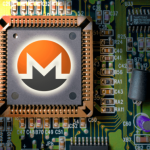 Monero is an easy coin to mine for, as XMR mining can be profitable using a basic home computer with CPU’s or GPU’s or a combination of the two and low electricity consumption compared to some of the other coins. This article however will focus on XMR cloud mining, where you don’t need to build your own hardware. 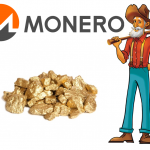 Once you have decided that mining for XMR is a viable option for you, you can look at mining solo, where you have to supply all the power and resources to solve the blocks and then reap the entire reward yourself, or join one of the many xmr mining pools where you combine resources with other miners and share the rewards with them. Mining pools are generally more popular than solo-mining and achieve better rewards for miners. Al alternative to building your own rig and supplying your own electricity is to look at cloud mining. 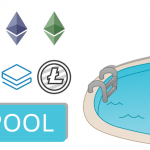 Cloud mining is not the same as pool mining. Pool mining combines the resources of individual miners, while cloud mining is where an organisation hosts and supplies the hardware, software and other resources needed for mining at a monthly cost and the pools the resources to maximise the effect of mining. In other words, leasing your mining power instead of owning it and having it housed at a remote location. The advantages of cloud mining over owning your own rig is that your costs are managed and predictable, in particular when it comes to electricity consumption costs, the risk of hardware failure is smaller and if the hardware fails, the company hosting the rig is responsible for the repairs. The chances of an interruption of service is reduced as there will be greater redundancy built in than what you will have at home and you are up and running as soon as you sign your contact, there are no delays as there would be when you build your own rig. As with all decisions around mining, it is important to look at the return on your investment before choosing your mining option. Mining Rig Rentals (https://www.miningrigrentals.com). 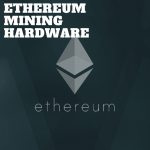 In existence since 2014 and based in the USA, Mining Rig offers a hardware for a vast range of mining rigs. Registration and sign up can be done online and pools can be selected for free. Compared to other providers their costs are slightly high but the chances of fraud are low. Genesis Mining (https://www.genesis-mining.com) is based in Hong Kong with a presence in Iceland and has been operational since 2013. 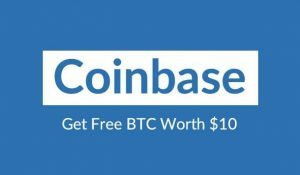 You can switch from one currency to another immediately and mine what is most profitable at that moment. Online signup is also available. The risk of fraud is low and the stability high , but they have been criticised for slow customer support. EOBOT (https://www.eobot.com), based in Los Angeles since 2013 has very high maintenance fees but has more than 1.8 million users of their services and offers rigs for almost any kind of cryptocurrency mining. Sign up online and if owning a full “cloud” is too expensive for you, fractions of clouds can be purchased. Cloud mining is a simple and predictable way to manage your mining, without you needing the knowledge of building rigs and maintaining them. The cost of cloud mining, while predictable, is slightly higher than when you solo-mine or join a mining pool using your own resources, as you pay for the convenience and expertise of the service provider.